Kanto vs Sinnoh; What Will the Next Pokemon Remakes Be? In almost every generation after the third, an older set of Pokemon games have been remade. Gen 3 had FireRed/LeafGreen, which revisited the original titles with new colourful sprites and extra areas. Gen 4 had HeartGold and SoulSilver, which reimagined Johto in the style of the modern titles (complete with online multiplayer). And then generation 6 got Omega Ruby and Alpha Sapphire, reimaginings of the generation 3 titles with full 3D graphics and worlds. So with Sun and Moon being generation 7, and the Nintendo Switch likely getting a new Pokemon game of some sort, it’s quite obvious we’re due for another set of games. Basically, there is almost equal amounts of evidence available for both Diamond and Pearl remakes and Red and Blue ones. After all, lots of things (like Lillie’s story and Pokemon GO compatibility) point to Kanto, and lots of others (like Type: Null point to Sinnoh). So let’s have a look shall we? Let’s weigh up the evidence for Kanto and Sinnoh, and see which comes out on top! Such as the game being a sort of milestone celebration for the franchise. What do I mean by this? Well, if future Pokemon games are coming to the Nintendo Switch, then that technically means it’s the first ever time a main series Pokemon game has been released on home console! No, we’re not counting Colosseum or XD here. They were good games, but they weren’t really traditional Pokemon in the gameplay department. These games would be. And so it only seems logical for them to revisit the region everyone remembers in glorious HD graphics with an orchestrated soundtrack blaring in the background. To deliver the definitive version of the Kanto region for the people who grew up with it. But it’s not just timing and nostalgia on its side. Oh no, there are story reasons for a generation 1 remake too! Like say, how Lillie’s story in Pokemon Sun and Moon directly ties into the Kanto games. Yeah, there’ll be some spoilers here. So if you don’t want to read them, skip this item and go onto the one about Pokemon GO, since it kind gives away what happens in the games’ ending. And to become a trainer herself, taking on the gyms and Indigo League as a result. And that’s where I think a generation 1 remake could come in. Basically, we could see for ourselves what Lillie’s adventure in Kanto was like, and perhaps even challenge her (and Lusamine?) in optional battles in the postgame, or even for title defence. So yeah, generation 7 provides a sort of sequel hook into a generation 1 remake. Additionally, there’s also the fact that a gen 1 remake could tie well into Pokemon GO. Which until recently, only had the first 151 Pokemon. I mean, think about it. Think That game was huge in Summer 2016, and might well be equally huge in Summer 2017 too. And so I think a generation 1 remake would then provide fans of the game (aka those who don’t know about the later generations) with an entry point in the larger franchise. They’d still be encountering newer Pokemon along the way (like later gen evolutions and pre-evolutions of gen 1 Pokemon in the story). Plus lots of others afterwards. But they’d mostly be seeing Pokemon they know, along with the mechanics they need to get used to in order to understand the ‘real’ games. It’d basically be a gateway from Pokemon GO to the main series. That’s not all. It’d also provide a nice way to set up the ‘connectivity’ mechanics here as well. I mean, there’s data in Pokemon Sun and Moon for trading with/connecting to Pokemon GO. And we all know Niantic is notoriously bad at adding features, right? Well, a gen 1 remake could ease that transition. Give them and Game Freak a chance to test with a limited set of species first. Namely, you can’t really experience generation 1 with up to date mechanics. The world is now 3D with a Zelda style behind character view rather than a top down one. Seriously, it’s like playing a completely different series if you go back to generation 3 or earlier. So a remake would allow people to experience Kanto with these enhancements and additions being included in the game, rather than as a really archaic experience. Finally, we get to a very interesting movie decision. Or more accurately, how the Pokemon anime is actually now revisiting Kanto with its new movie! Yes really! 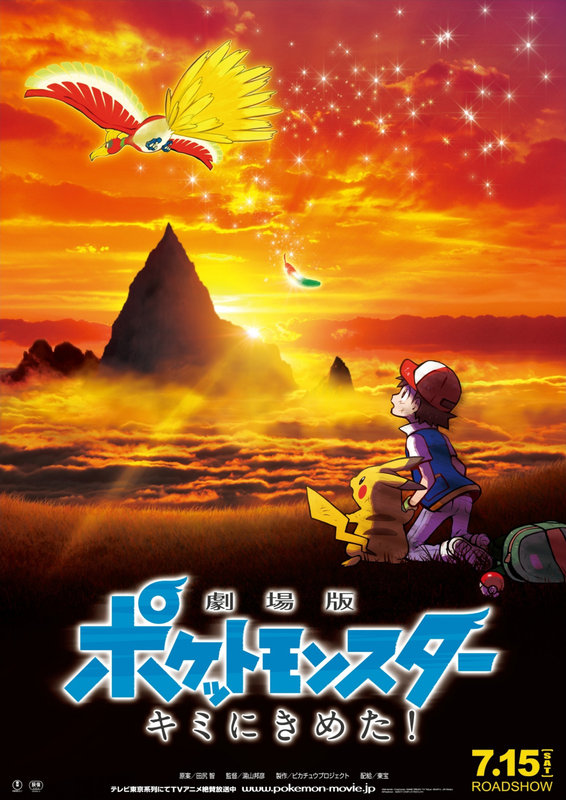 It’s called Pokémon the Movie: I Choose You!, and revisits Ash’s first season adventures in Kanto and the start of his journey to become a Pokemon Master. So a generation 1 remake could tie really well into this film too. Heck, it could even look like said film, if Nintendo and Game Freak went out their way to up the graphics fidelity of the titles and really push the Nintendo Switch to its limits. Either way, there are plenty of reasons why a generation 1 remake might be coming on the Nintendo Switch. Well, it is, isn’t it? We’ve had generations 1 to 3 remade up until now, and so by definition, generation 4 needs to follow at some point. And with some of Pokemon Sun and Moon tying into these games, what better time to remake them than right now? 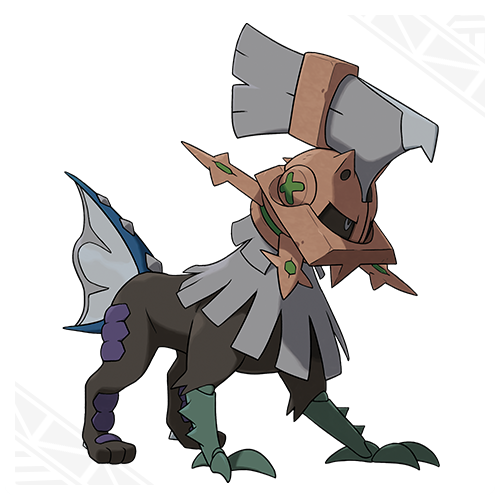 Since hey, we’ve already got a glaringly obvious plot hook that ties into a Sinnoh storyline in the form of Type: Null. Think about it for a moment. Every single aspect of the artificial Pokemon’s development was basically an attempt to recreate Arceus. You’ve got the design, a quadruped legendary beast type look (albeit one that seems like someone’s vision of Arceus as seen through a kaleidoscope while drunk). There’s the abilities for Silvally, which let it change its type like its inspiration, give it a unique attack to match set type (which works exactly like a weaker version of Judgement) and which even reference it by name (it’s called the ‘RKS’ system in English). And well, with the comments about taking inspiration from a book found in the Canalave Library, it’s pretty obvious that the Aether Foundation thought trying to recreate God was the solution to the Ultra Beast problem. And Type: Null isn’t the only Sinnoh inspired element in Sun and Moon. 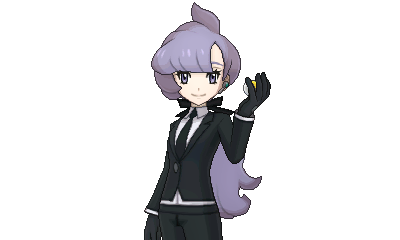 Oh no, in addition to Looker (who first appeared in generation 4), you’ve now got the return of Anabel as a member of the International Police. What’s more, it’s also stated she fell through a portal into this world while defending the Battle Tower (she was one of the Battle Frontier leaders back in generation 4). So there’s an obvious storyline to build on there, which could easily tie the presence of the Ultra Beasts to Team Galactic’s plot in the gen 4 titles. I mean, they’re already trying to recreate the universe by harnessing the power of Pokemon that control time and space. So that could be used to tie into the Ultra Beast storyline too. Maybe they started appearing because the strain caused by restraining the legendary Pokemon broke the barriers between dimensions and allow them into Sinnoh. Maybe they were inhabitants of the Distortion World ruled by Girantina. And heck, maybe it turns out these games are actually a sort of prequel to Sun and Moon, with the effects being what kicked off the Aether Foundation’s research and got Mohn trapped in Poke Pelago. Finally, as much as I mention Kanto not being a region you can experience with up to date game mechanics, the situation isn’t much better with Sinnoh either. You’ve still got a lack of Fairy types, Mega Evolutions, Z-Moves, character customisation, infinite use TMs and the new Poke Ride system. And there’s still no way to experience the region in full 3D like generation 6 onwards. So hey, that would be a significant reason to remake generation 4 too. To have it also available with modern mechanics. It wouldn’t be quite as big an upgrade as it’d be for Pokemon Red and Blue, but it’d be an impressive one none the less, and open up a ton of new possibilities for setting up strategies and building teams. Heck, it’d even give you a way to take down Sableye and Spiritomb, two Pokemon from these games that originally didn’t have any weaknesses (they’re now weak to Fairy attacks). Of course, there’s also a third possibility here, namely that we don’t get either. Maybe Nintendo don’t consider it worthwhile to remake any games this generation. I mean, that happened with generation 5, didn’t it? And hey, given the lack of third games in gen 6, maybe it’s the case that these two features appear in alternate generations instead. That every other generation after generation 3 gets no remakes (but does get a third game), whereas the others get a remake instead of a third instalment. It’s not likely, but it’s always possible. Either way, those are my thoughts on what the next Pokemon remake might be, and some of the reasons why Nintendo might choose either generation 1 or 4 to redo. But what do you think? Are we going to get a new version of Pokemon Red and Blue soon? Or a revisit to the world of Pokemon Diamond and Pearl? Post your thoughts here in the comments or on social media today! Two things: The Gen 3 remakes kept the separate Poké Marts from the original games. Anabel was the Frontier Brain for the Battle Tower in Gen 3, not 4. 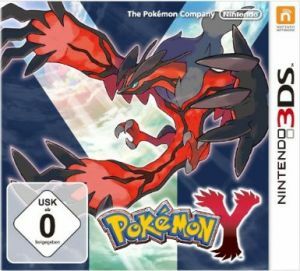 Is The Third Pokemon Gen 6 Game going to Introduce a New Region?